This system provides MRM transitions, LC separation conditions, retention times, spectral libraries, and report files, enabling rapid implementation of a screening method for many important toxicological substances. 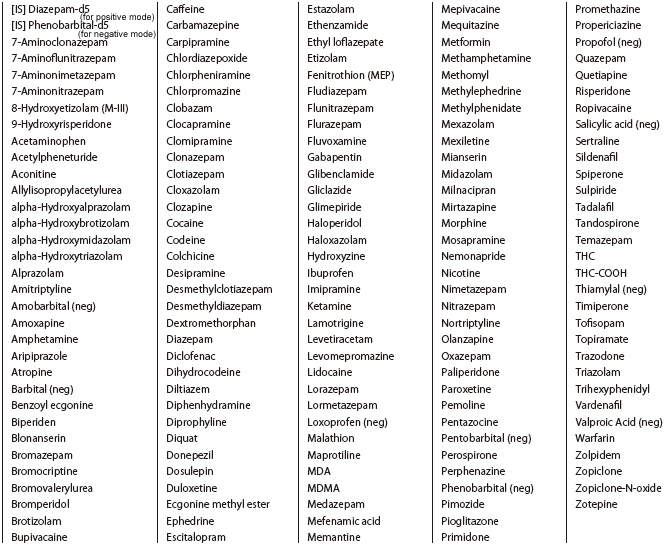 Developed in conjunction with front-line researchers in the toxicology field, the method analyzes several classes of substances. 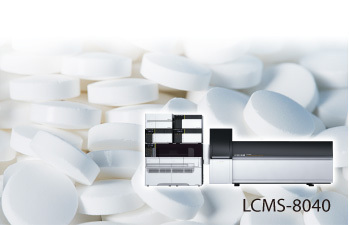 LCMS MRM optimization has been performed for common drugs of abuse, hypnotics, psychotropics, pharmaceuticals and other natural toxins. Shimadzu’s Ultra-Fast MS technology enables triggered product ion scans, which provide MS/MS data during MRM acquisition. By incorporating established calibration curves, this screening system provides laboratories the ability to perform semi-quantitative analysis without purchasing dozens of costly standards. Also included is an optimized sample preparation protocol for toxicology screening based on QuEChERS*. From sample preparation to reporting, a total solution for toxicology screening is provided. * QuEChERS (Quick, Easy, Cheap, Effective, Rugged, Safe) was developed by Anastassiades et al in 2003 as a sample preparation method for residual pesticide analysis in agricultural products. Any calculated concentrations obtained using this system are estimated values only.Because true values may differ significantly due to sample status and system conditions,the estimates obtained are not valid for legal or medical decisions. To obtain accuratequantitative values, a validated method using appropriate standards and quality controlprocedures must be used. Shimadzu makes no warranty regarding the accuracy of information included in thedatabase or the usefulness of information obtained from using the database. It is the user’s responsibility to adopt appropriate quality control tests using standardsamples to confirm qualitative and semi-quantitative information obtained with this method package.